In no particular order, here are some beautiful quilts posted during the first 2 quarters of 2016. As always, these are chosen by you Craftster members when you use the "This Rocks" button! Quilts that have been previously featured in the Craftster wide Featured projects are not shown here, so we can spread the love around to other projects that you may have missed. 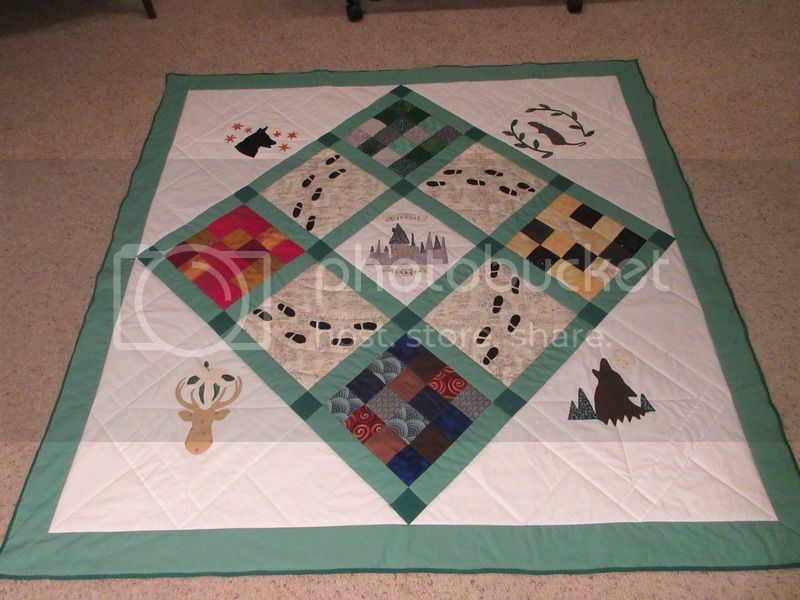 I adore this Harry Potter Marauders quilt by Craftster user Noelle. It has such a clean aesthetic but still includes a ton of lovely details! The Scrappy Trip Around the World pattern has been super hot in recent years, and this Round the World Baby Quilt from Amazon_Warrior shows why with vibrant results. Not only is it created in a unique way, but the end result leaves a striking pattern. As a huge Mario fan, I have to admit I squealed a little bit when I saw this Fire Flower Slots Quilt from semel. Who wouldn't love to have this bright quilt on their bed or their couch to cuddle up in while playing vintage Nintendo games? While I try to spread the love around to as many members as possible, Amazon_Warrior has to make another appearance on this list with her incredible Gotham Baby Quilt. She designed this herself! I love the intricate piecing that gives the skyline extra depth. I love the soft colors in the snowball pattern In Full Bloom Quilt by Immaculata. She finished this quilt from a WIP from 2009! This set of mini quilts from mouseinmypocket features several traditional quilt patterns with a twist! Her Focus Through the Prism Challenge Quilts showcase 9 Patch, Churn Dash, and Friendship Star blocks, amongst others, with a modern update. As a novice quilter I feel honoured to have my quilt mentioned in this list! I can't stop looking at that gorgeous Gotham quilt.